Former offshore workers are being turned down for jobs outside the struggling industry due to their previous lifestyle, according to a north-east MSP. Gillian Martin said a number of ex-oil and gas employees in her Aberdeenshire East constituency have been in contact after being repeatedly rejected for positions. Several of the rejected parties claim they were explicitly told that their connection to the North Sea industry and the high-flying wages that died along with $100 oil in 2014 were to blame. 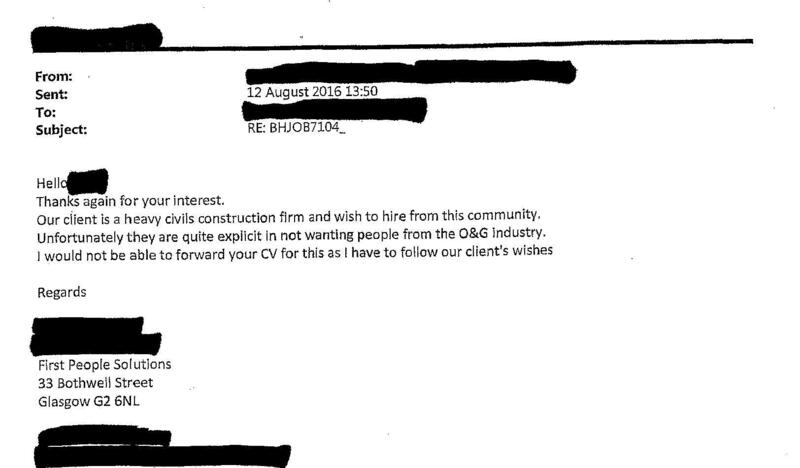 A redacted email from Glasgow based recruitment agency First People Solutions stated: “Our client is a heavy civil construction firm and wish to hire from this community. First People Solutions have been contacted for comment. The rejection letter was handed over to Ms Martin’s constituency office as evidence of the practice. It comes after months of her being told that the practice was ongoing, but with a lack of solid evidence able to back up claims. Another offshore worker said he was told that he would not be offered a non-oil job amid fears he would up and leave once the price of Brent Crude improved. Around 120,000 UK jobs associated with the industry are estimated to have been lost since the oil price started to plunge more than two years ago. Ms Martin has now written to Minister of State for the Department for Work and Pensions, Damian Hinds MP, asking for an investigation. She wants to know how widespread this discrimination is across the Britain and if it is legal. Ms Martin, whose constituency is one of the worst affected by the fallout from the oil and gas downturn, said: “I had heard anecdotal evidence of a suspicion of this being the case, while others said they been told outright that employers did not want oil and gas workers. “But I never saw anything written down until a constituent came to us. “He had been out of work for 18 months and was trying to find a job outside oil and gas in the health and safety area. 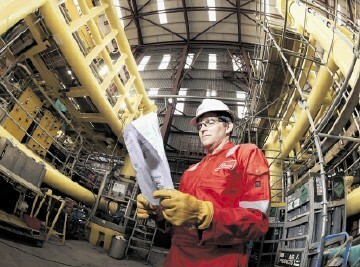 He had worked in previous health and safety sectors before doing it offshore. 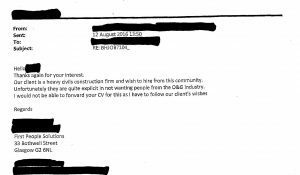 She added: “I could understand if it was particular engineering post, like a civil engineer applying for a mechanical engineer’s position. Ms Martin has raised the issue with her colleague Jamie Hepburn MSP Minister for Employability and Training as well as writing to Mr Hinds, who she has yet to receive a formal response from. The Aberdeenshire East MSP said: “Effectively what I’m calling for is an investigation into how widespread this is. She added: “Not only is this not fair, I would suggest that there is a huge skillset of people coming across and that companies are missing out on good, highly trained employees. “Some of the evidence I’ve had has suggested many employers are not going to employ ex-oil workers because as soon as the oil price goes back up, then off you will go. Energy Voice would like to know more about this claim. Have you been rejected from a job opportunity because of your connection to the oil and gas industry.